Frank Stranahan won our Amateur Championship in 1948 and 1950 and was runner up in the Open Championship in 1947 and 1953 he was also runner up in the Masters in 1947. Frank played in most of our Open Championships from 1947 to 1960 and remained an Amateur until 1954 when he turned professional. He won 6 times on the PGA tour, ran over 100 Marathons and was a champion weight-lifter. Born in Toledo August 5th 1922 Frank passed away June 23rd 2013. Frank was proud that this tournament was named in his honour and signed a postcard to The Players Club of his 1950 Amateur Championship win putting out on the 18th at St Andrews. This is an Open competition to Amateurs (£35 entry fee). Groups will be split into those playing the Stranahan course in the morning and Codrington in the afternoon and vice versa. Gross and Nett prizes are split equally. You can enter by email state your club, handicap and CDH and then pay by card 01454 313029 option 1, or send a cheque. Handicap limit 18. Tee times will be from 7.00 to 9.30 for the morning rounds. *Players may win multiple prizes. In the event of bad weather the Stranahan Trophy will be decided on 18 holes played by the ‘Elite Field’ (starting AM Stranahan). The prize fund will then be split on numbers with Nett & Gross paid equally on a 50% 30% 20% basis as two separate competitions with the Trophy awarded to the Elite field winner. Countback’s for the 36 holes will be over the Stranahan course, last 18,9,6,3,2,1,12 etc. 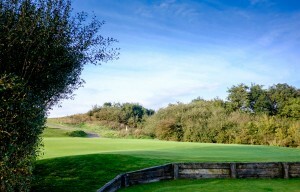 In the event of a play off the 18th of the Codrington will be used.